The first person to live to 150 has already been born. When I first heard this controversial idea, popularized by biomedical gerontologist Aubrey de Grey of the SENS Research Foundation, it gave me chills. It’s amazing to think we could have 50 more years to spend with loved ones and doing the things that make us happy. But, quality of life is key. How will we manage an aging population and ensure that people enjoy not only longer lives, but quality of life in their old age? These are questions we're already facing as health care systems struggle to keep up with the costs and care demands associated with chronic conditions. 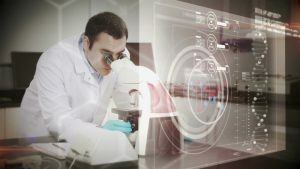 Data, analytics, artificial intelligence and the Internet of Things will play critical roles in helping the health and life sciences industries evolve to meet the needs of the future. In order to give people longer lives, our system will have to shift from reactive to preventive care. Combining and analyzing genomic, medical, environmental and even social media data sources will allow health care providers to get a more complete picture of a patient’s health, risk for disease, and lifestyle and circumstances so that they can recommend the right interventions at the right time. Artificial intelligence will empower doctors to make the best possible diagnoses and treatment decisions. The Internet of Medical Things will add monitoring and diagnostic capabilities that will make the management of chronic conditions more cost effective and more convenient for the patient. Pharmaceutical and medical device companies can apply data to deliver life-changing therapies to patients faster. Real-world evidence and artificial intelligence will also allow life sciences companies to develop more innovative, targeted therapies as we shift to a personalized medicine approach. We’re on the cusp of a major breakthrough in the way health care and medicine are delivered, and data and analytics will be the catalyst. When we think about the first person to live to 150, we should be thinking about the milestones where analytics will make it possible to live that long, with quality of life and within the larger context of a sustainable health care system. To learn more about how we use data, analytics and artificial intelligence to prevent illness and improve patient care, download this free ebook: Emerging topics in health care.